Is it just me or is this year flying by so quickly? How it almost April already?? Today is the first day of spring so it seemed fitting that I would post a more colourful dessert as apposed to my usual chocolate coloured desserts! I’ve always been drawn to pastel colours. There is such a calming and relaxing element to them and as someone who suffers with anxiety, I need all the calm I can get. 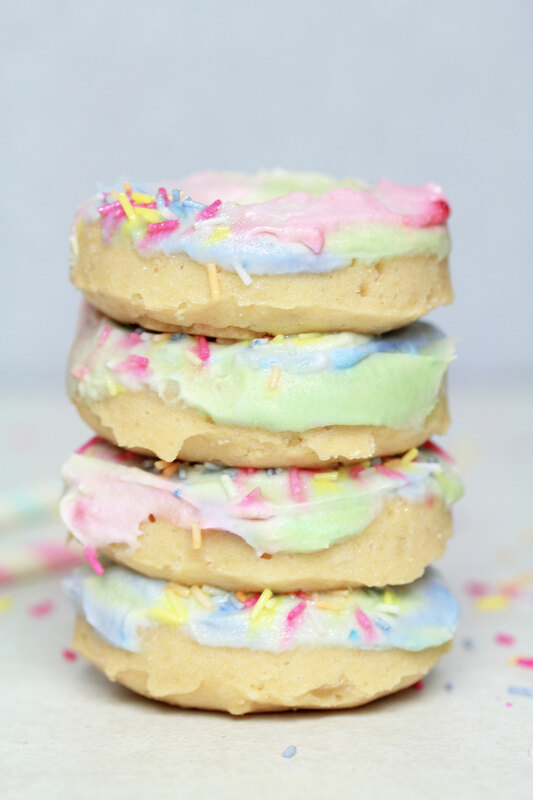 I had seen loads of ‘unicorn’ inspired recipes on social media and instantly knew I wanted to join the craze, even if it is only a trend that will pass in a couple of months. 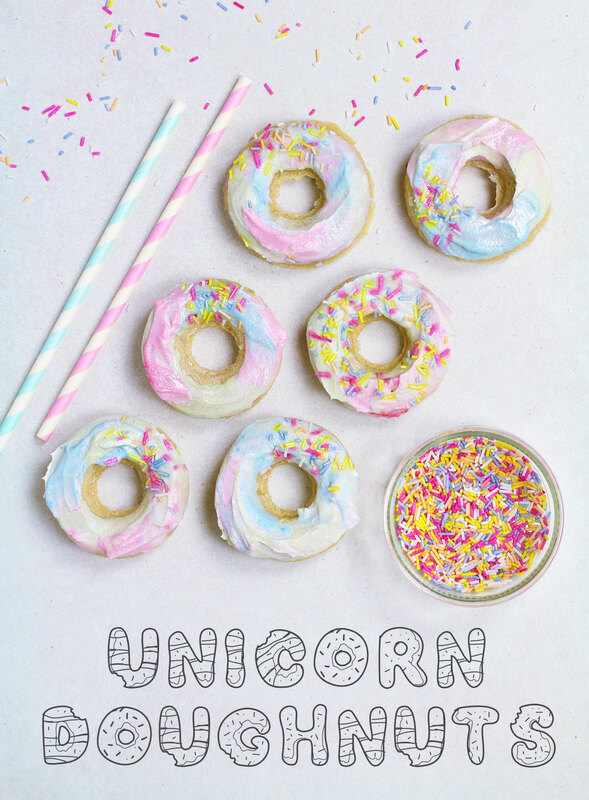 If there is a craze to be a part of, a unicorn craze is definitely the one to go with! 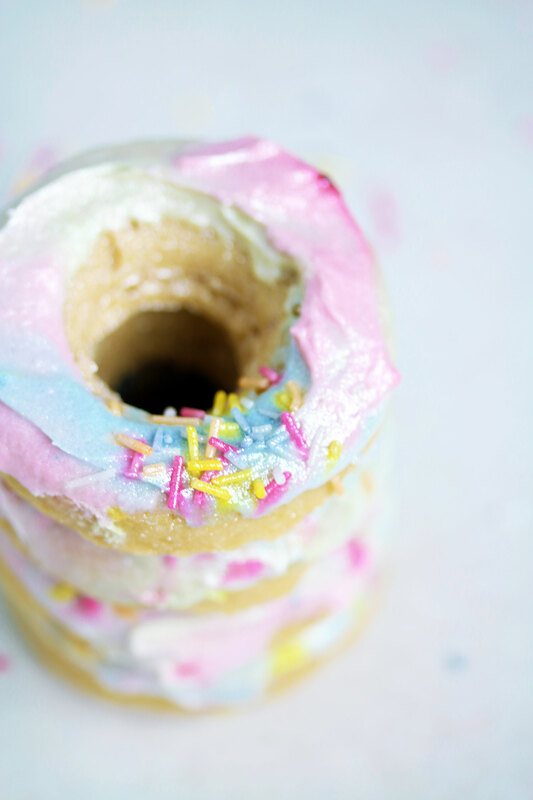 The doughnut itself is vegan, gluten-free and baked making it healthier than a regular doughnut. I had so much fun playing around with the frosting. It’s so easy – made up of only 2 main ingredients + the ingredients I used for colouring. Food colouring – I used matcha for the green, beetroot powder for the pink and blue matcha for the blue, but you can use shop bought food colouring if you can’t find any of these ingredients. Mix the flour, sugar, baking powder and salt in a bowl. Add in the melted coconut oil, milk and vanilla extract. Mix to combine. Lightly oil a silicon doughnut tray and divide the mixture equally between them. Bake for 20-25 minutes. Leave to cool completely before icing otherwise the frosting will melt! Using the solid part of the coconut only, transfer into a bowl and whisk using a hand mixer until light and fluffy. Divid the mixture evenly between 3 bowls and start adding different colours into each. Add a little at a time until you’re happy with the colour. Now add all 3 colours back into a large bowl, side by side not on top of each other. 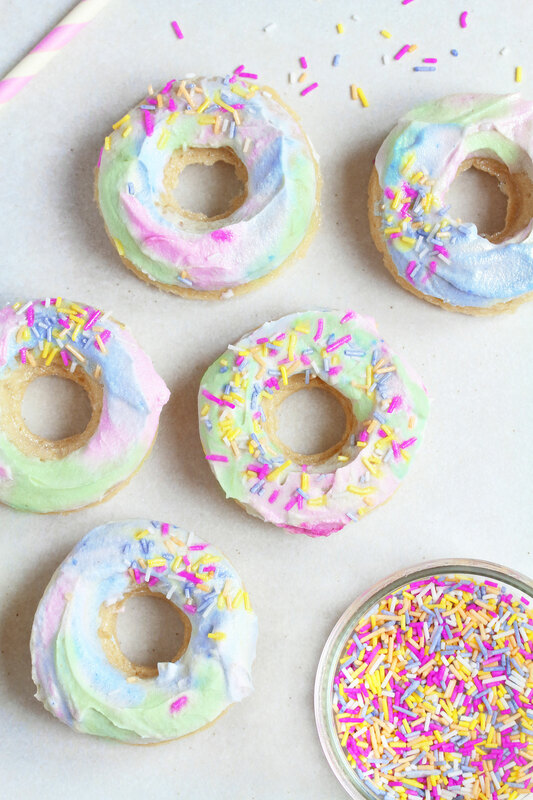 Dip each doughnut in twisting it to the right then left until you have an even coat of the frosting. Twisting it round while dipping will create the swirly effect. 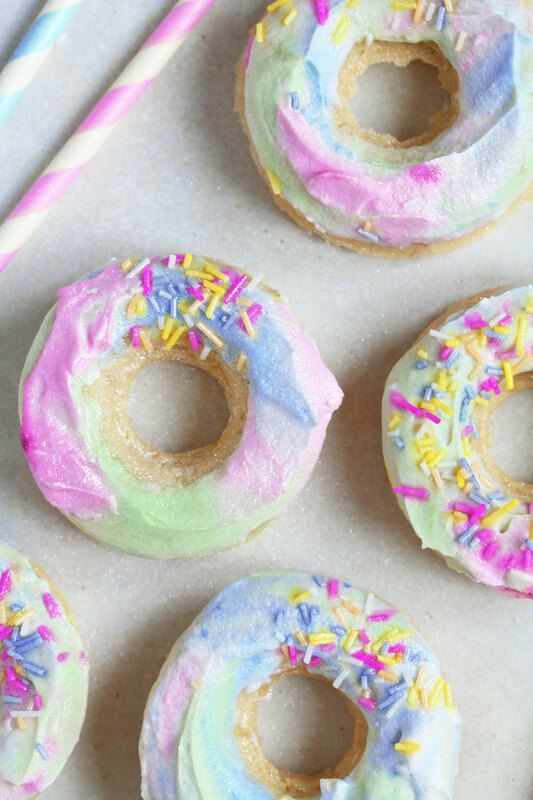 These look so fun and magical Nadia! 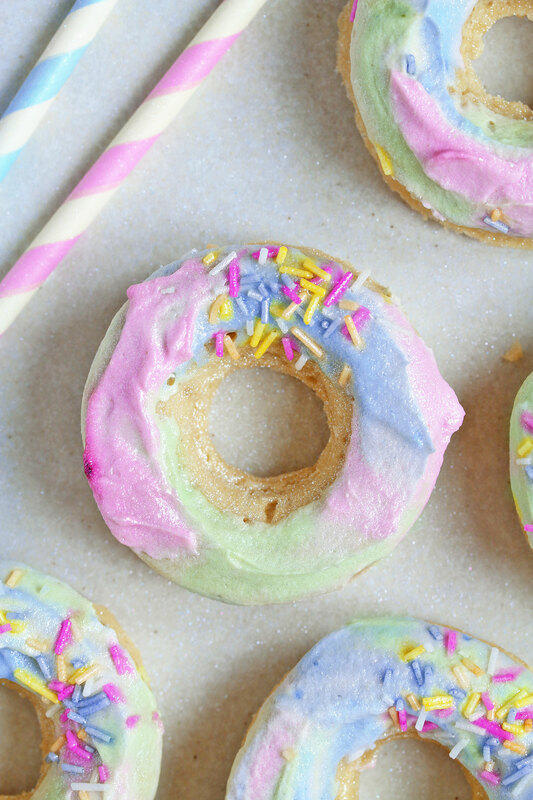 These unicorn donuts are magical, Nadia! They remind me of being in a fairytale!